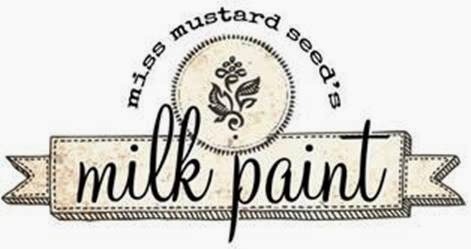 The Painted Chest: The Painted Chest is now a Miss Mustard Seed's Milk Paint Retailer!! The Painted Chest is now a Miss Mustard Seed's Milk Paint Retailer!! The Painted Chest - by Tricia Mueller is now a Miss Mustard Seed's Milk Paint certified retailer!!!! I'm proud to bring these products to you. Our first shipment should arrive within the next 10 business days. Milk Paint is an ancient all-natural paint containing basic ingredients including milk protein (casein), limestone, clay and natural pigments. When absorbed into the surface, Milk Paint will never chip or peel when applied to a raw wood surface. It is suitable for both interior and exterior applications and is naturally mold resistant. Milk paint provides a completely breathable coating and is ideal for painting wood, plaster, drywall and a variety of other surfaces. It is environmentally friendly, non-toxic and contains no VOCs. With the Milk Paint Bonding Agent you can use Milk Paint on even more surfaces such as previously painted walls, varnished surfaces, ceramic tiles, metal, glass etc. Without the bonding agent, Milk Paint will resist some prefinished or prepainted surfaces to achieve an authentic “chippy” look. Miss Mustard Seed's Milk Paint comes in 18 beautiful colors. One quart of milk paint covers approximately 70 sq. feet. Simply mix this powder with water- it’s that easy! A Milk Paint finish is unique and can range from a solid color to a stain, it all depends on how much water you add! It can be used on any porous surface without a primer. It will never chip or peel on porous surfaces as it soaks in and binds with the substrate. I can't wait to show you how awesome this paint really is!! 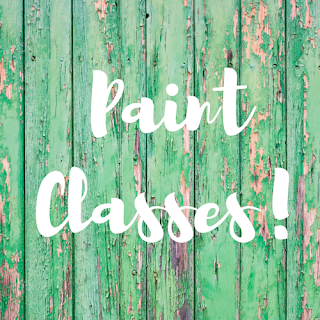 Milk Paint workshops will be starting soon! I nominated you for the Liebster Award on the blog http://redoityourselfinspirations.blogspot.com/2014/03/liebster-award.html where you can grab a badge and have fun with the other bloggers.